The story really begins in England with a gentleman who had been a R. A. F. pilot during the First World War. By 1946 he had immersed himself in building cars on a limited basis that had one thing in common. They all were fast-and agile and carried the name Silverstone Healey. These Riley powered cars were doing quite well on the European race tracks,.By 1949 he had caught the attention of race driver, Briggs Cunningham, who commissioned him to build a special Silverstone with the new overhead valve Cadillac engine. It turned out to be such a sensational car that Healey was eager to build more. It wasn't long before Donald boarded the Queen Elizabeth to head for America, in an attempt to buy engines from General Motors. On the ship he chanced to strike up a friendship with a man over a mutual interest in cameras. The man, George Mason, invited Healey down to his cabin that evening for a drink. When Healey told Mason why he was venturing to America, Mason told him that he was president of Nash Kelvinator Corporation and invited him to stay at his home during his stay in Detroit. Mason told Healey that if he didn't have any luck with G.M. to come back and see him. Healey's meeting with then Cadillac chief, Ed Cole, proved fruitless as he was told that G.M. couldn't meet its own demand for the engines. No sale! When he went back to Mason, he found that not only would they sell him the engines, but would commission him to build a number of cars using the Silverstone components and Nash running gear. It wasn't long before Healey's major efforts were involved in the production of the first style of Nash Healey. This car was a small English bodied (Panel Craft) roadster equipped with Nash Ambassador engine, stick shift, and rear end. The cylinder head had been modified to accept 2 1 3/4" S.U. English carbs and lightened by replacing cast iron with aluminum. Mason had a hotter cam installed to bump the horsepower up to 125. This little 102" wheelbase roadster did O.K. in the European race circuits, winning 4th overall in 1950 and 6th overall in 1951 at LeMans. 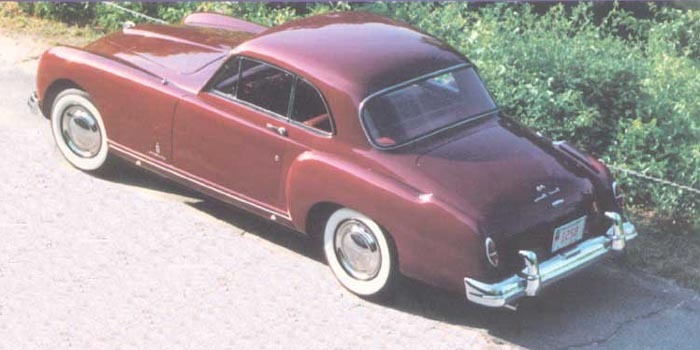 During this period of time, Nash had contracted with Pinin Farina of Turin, Italy, to design the company's 1952 line. In order to give the Healey more styling conformity with the rest of Nash's line, it was decided to allow them to do the redesign. What resulted was a very pleasing to the eye, but completely different roadster. The body was no longer built of aluminum, except for the hood and deck lid. Horsepower was boosted again to 140, and suspension was upgraded. LeMans was good to the car that year. Believe it or not, the Nash Healey took first in its class and third overall. (Mercedes placed 1st, 2nd and 3rd). For the first time an American car was giving European cars such as Ferrari, Talbot, Jaguar and Aston Martin, a real run for their money! The fact that this was being done by company that had a reputation of building "Grampa Cars" was even more astounding. 1953 saw a final major redesign and yet another award. When the new longer W.B. coupe reached the prestigious Italian International Concours d'Elegance, it ran away with honors by placing first in styling. In racing circles, the coupe did not fare as well, but still did better than average in all events. 1954 saw the end of Nash Healey, who built 90 units, all coupes, and the end of Nash-Kelviriator as well. Redesign for 1954 was focused on the new smart looking wrap around rear window which followed the look of the larger Nash hardtops. 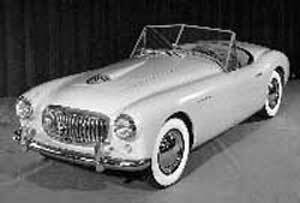 The onset of the merger of Nash and Hudson, resulting in the emergence of American Motors Corporation, ended both the Nash Healey and the Hudson Italia, as A.M.C. was more interested in survival rather than speciality cars. The Nash Healey has earned its place in the history books, however, because its record goes undisputed. As a true sports car, it could pound heads with the best of them.